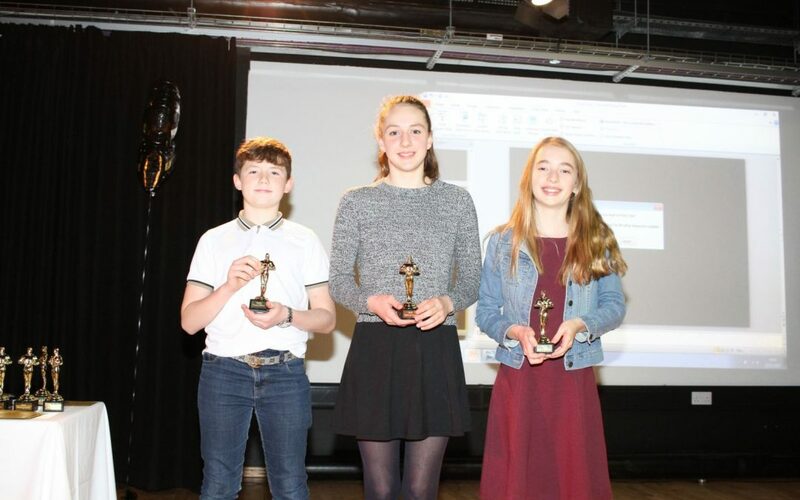 In November 2017, pupils and parents of St Edward’s School in Cheltenham were treated to a red carpet Oscar’s themed event to showcase shortlisted digital stories and award individual pupils’ achievements. A total of 25 pupils were shortlisted and nominated for a range of awards including Best Family, Best Festival and Best Food stories. Other awards included Best Script, Best Editing Team and Best Photography. This was the first time parents were able to see what pupils had been up to with the project and the school received some wonderful feedback from parents. Sam in Year 8 picked up the award for ‘The All Three’. His story about his Dad’s meat van business touring festivals and events around the U.K. touched on all three categories of the project’s brief. Well done to Sam and all other pupils who did so well with their stories! 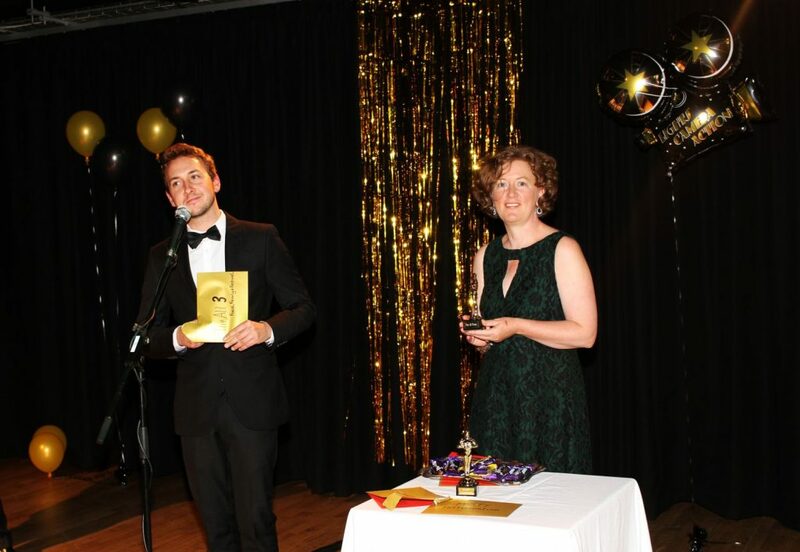 John Lewis, the Deputy Head was a fantastic host for the award ceremony and golden statues were given out by Mysty coordinators Lorna Lythgoe and Zack Thorne, the Head Pat Clayfield alongside special guests Abigail Gardner, Julia Hayball and Catherine Fraser who left the project to go on Maternity Leave last year. Special thanks to all those who participated and made the event such a great success!